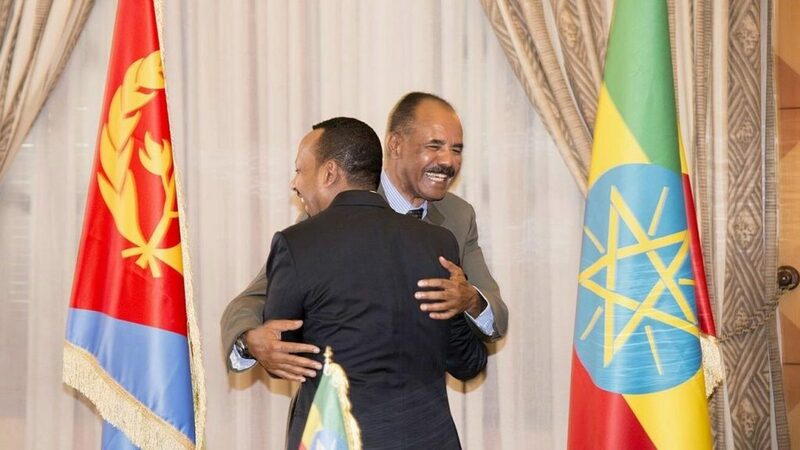 All roads to peace in the Horn of Africa seem to run through the Eritrean capital of Asmara these days, with the latest peace initiative allying Ethiopia and Eritrea looking like it will be bringing peace to South Sudan. To understand the South Sudan civil war you must look no further then the Chinese oil fields, the only such owned and operated in Africa, and one of the first targets of the rebellion/coup attempt over 5 years ago. The only beneficiary from the South Sudan civil war has been the USA, for China has seen all of its ambitious plans for further development of its one and only energy field shut down. have to be a deep pocket operation, $600 million and counting so far. No one else has access to this kind of cash but The Man aka the Central Intelligence Agency. One of the main demands of the rebels has been to shut down Chinese oil operations in the country. Gee, whose national interest is this in? Certainly not South Sudans, whose very survival depends on these oil wells. Fast forward to the soft coup and “peaceful revolution” in Ethiopia, whose former gangster government did the CIA’s bidding in funneling the dirty money to pay for the rebellion in South Sudan. With the Tigrayan ethnic minority regime no longer in power, as in “game over”, the handwriting is on the wall, it looks like the jig is up, for who can the CIA count on now to launder its filthy, bloodstained lucre? Not the usual client regimes like Uganda or Kenya, both of whose economies were damaged by the civil war in South Sudan. The CIA is certainly not going to trust hard currency strapped President Bashir of Sudan to pass the cash, not with hundreds of millions being involved. So maybe, just maybe, this evil spawn of Babylon, the CIA’s Dirty War in South Sudan, USA vs. China, might soon come to an end. South Sudanese President Salva Kiir was here in Asmara to finalize the peace deal, looking almost stunned that peace had finally come to pass. As Eritrean President Issias Aferwerki laid out the future peace for all to see, Dr. Abiy in Ethiopia made sure no more cash or weapons is funneled by the CIA to the rebellion. With families to feed the rebels need to collect a salary and have little choice but to accept reintegration into the South Sudanese regular army. Once this critical step is complete a real peace can take hold, though one should not underestimate the deviousness of the CIA who may yet find a way to fund rebellion amongst disgruntled elements in the newly reunited South Sudanese Army. Still, it seems Pax Americana has come to terms with the new reality on the ground out here in the Horn of Africa, what with China making its move into the energy industry in Ethiopia, building a multi billion$ natural gas pipeline to extract and export the estimated 4 trillion cubic meters lying beneath the Ethiopian Ogaden. Now that a ceasefire has been reached between the Ogadeni fighters and Ethiopian P.M. Abiy’s government, again, signed here in Asmara, Ethiopia can start to use its massive energy reserves and begin to ween itself from bankrupting foreign currency drains for energy purchases. The leaders of Ethiopia, Somalia and Eritrea have all gathered in where else but Asmara, and signed, sealed and started to deliver on peace and economic cooperation. Even the Godfather in Djibouti, who cried foul when the Somali President visited Asmara has had to sign the normalization of relations agreement with Eritrea. And all of this absent anyone from any of the major imperial powers, strictly an African accomplishment though China has pledged many billion$ to keep Ethiopia afloat in its sea of debt, mainly to the western banks. bring the change so desperately needed?